Situated inside the Arctic Circle and centered on the Geographic North Pole, the Arctic Ocean is the coldest and smallest ocean on Earth. It is also the northernmost ocean on the planet. 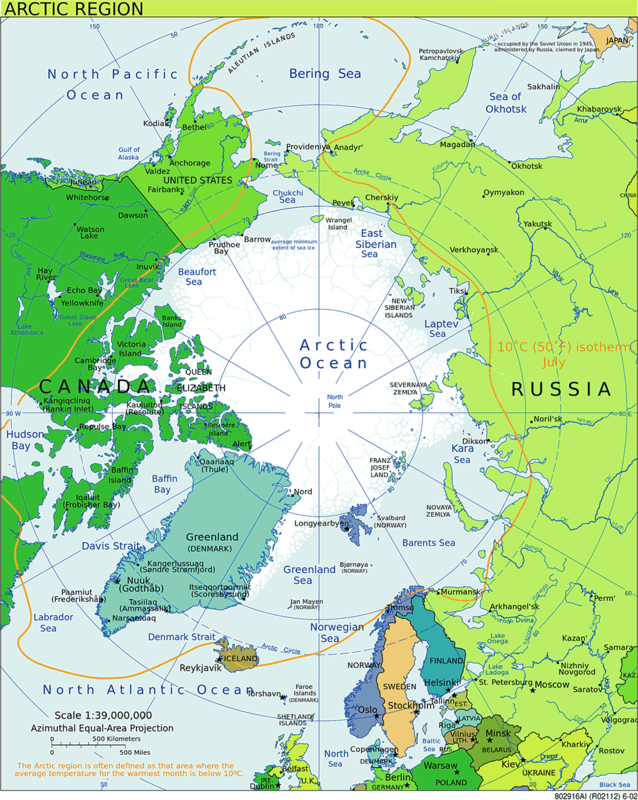 The Arctic Ocean covers approximately 5.4 million square miles. Approximately 25 percent larger than the Arctic Ocean, the Southern Ocean that surrounds Antarctica is the next smallest. The Pacific, the largest ocean, joins the Arctic Ocean via the Bering Strait. The second-largest ocean, the Atlantic connects with the Arctic Ocean through the Greenland Sea. 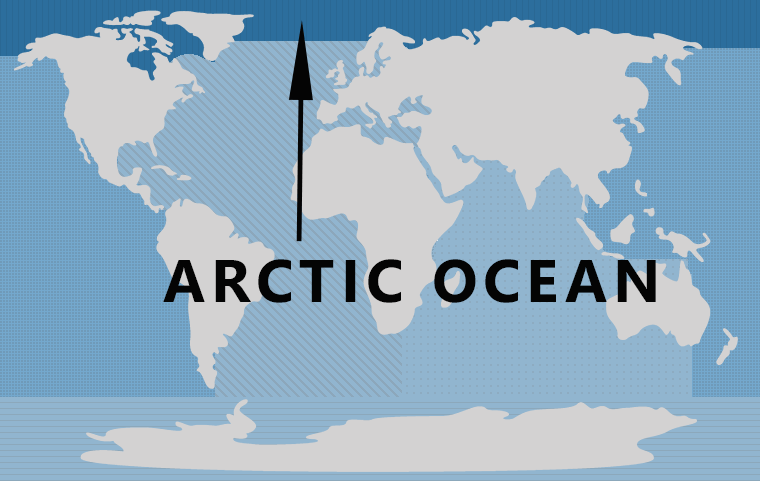 The Arctic is not connected to the Indian Ocean, the third-largest ocean on the planet. 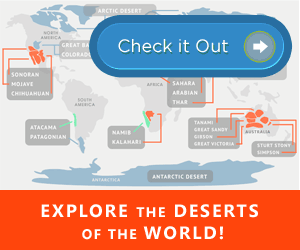 Tectonic history indicates that the Arctic Basin was created during the Cenozoic Era. The floor of the North Polar Basin is segmented by three major underwater ridges. While the Lomonosov Ridge divides the seafloor into the Eurasia and Amerasian Basins, the Mid-Oceanic and Alpha Ridges compartmentalize these two major basins. These smaller ridges also serve to separate the Arctic from the Atlantic Ocean. While the deepest point of the Arctic Ocean is slightly more than 17,500 feet below sea level, the ocean floor averages a depth of 12,000 feet. The Arctic Ocean includes the North Sea, the Hudson Bay, and the Barents Sea as well as several straits and tributaries. While surface waters from these geographical features flow freely, the ridges prevent an exchange with deep water. The result is a standing pool of very cold water at the bottom of the Arctic Basin. Almost completely encircled by the landmasses of Eurasia and North America, the ocean’s most distinctive feature is the ever-present ice as the average temperature rarely rises above freezing. The area covered in ice varies based on the season. The ice is covered in snow 10 months each year. During rare periods of thinning ice, ships are able to transit across the Arctic Ocean using the Northwest Passage and Northern Sea Route. The lower rate of evaporation and limited connectivity with the world’s other oceans combine with a large influx of freshwater from rivers and streams that reduces the salinity level of the Arctic Ocean. As a result, the smallest ocean also has the lowest salinity level. Although the ocean is almost completely covered by drifting icepack the majority of the year, it is not barren. Tunnels through the ice known as brine channels provide a habitat for a wide variety of algae and bacteria that nourish flatworms and other creatures living in the tunnels. Melting ice forms pools of water on the ice cap that also support various life forms. When the ice melts, these organisms and nutrients are released into the ocean, which supports the growth of algae. This aquatic organism is food for small creatures like zooplankton that are a source of food for fish, seals, squids and the lion’s mane jellyfish. Some of these larger inhabitants are prey for endangered animals like polar bears, walruses, and whales that inhabit the area. Other animals that live on the polar ice cap during parts of the year as far north as the 88th parallel include hares, gulls, and guillemots. Once known as the Frozen Ocean, the Arctic remained mostly unknown until the Amundsen-Ellsworth flight of 1926. The feasibility of scheduling flights over the Arctic Ocean to shorten the distance between major cities in Asia, Europe and North America stimulated additional research into the region. Explorations in the 1950s revealed the complex nature of the icecap and seafloor of the tiniest ocean on the planet. Over the years, aerial and satellite photography as well as other improved scientific equipment provide detailed information about ice floes, water depths and life on the ocean floor. Scientists are now concentrating their efforts on the changing weather patterns and their effect on the polar icecap and water temperatures to gain a better understanding of the world’s smallest ocean.